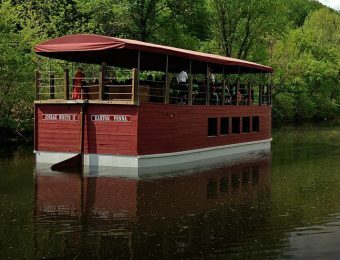 The canal era began in Pennsylvania in 1797 with the Conewago Canal, which carried riverboats around Conewago Falls on the Susquehanna River near York Haven. Spurred by construction of the Erie Canal (construction between 1817 and 1825) and the perceived competitive advantage it would give New York State in moving people and materials to and from the interior of the continent, Pennsylvanians built hundreds of miles of canals during the early decades of the 19th century. These included the privately funded Lehigh Canal, which improved water transport on the lower Lehigh River (Mauch Chunk to Easton) and enabled the first regular reliable supplies of anthracite coal to reach eastern manufactories. Two other canals were built later by Pennsylvania stock companies, the Schuylkill Canal from Philadelphia to Port Carbon and the Union Canal from Reading to Middletown. By 1834, the Main Line of Public Works, a system of interlocking canals, railways, and inclined planes, was hauling passengers and freight up to 391 miles (629 km) between Philadelphia and Pittsburgh. Though not all in concurrent operation, the total length of the canals built in Pennsylvania eventually reached 1,243 miles (2,000 km). By about 1850 steam engine technology had advanced to having the ability to produce locomotives with sufficient power to move freight, including bulk goods such as coal and grain, so railroads had already begun displacing canals as the preferred method of long-distance transportation, as they also offered speed. In 1852, the Pennsylvania Railroad (PRR) began offering rail service from Philadelphia to Pittsburgh, and in 1857, it bought the Main Line Canal from the state. In 1859, all canals owned by the commonwealth were sold. The PRR formed the Pennsylvania Canal Company in 1867 and continued to use canals to haul freight. However, the canal business declined steadily in the last quarter of the century, and most Pennsylvania canals no longer functioned after 1900. 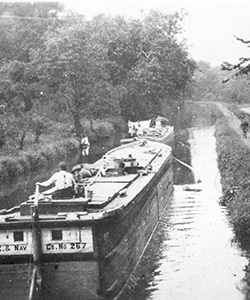 The Delaware and Lehigh canals were exceptions, staying in business until the early 1930s. The variety of artifacts and research materials promotes the appreciation, preservation and restoration of canal-related sites in the United States and Canada. Our interpreters use these resources to show visitors how canals helped create a regional and national economy. 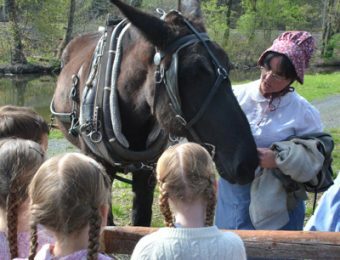 Visitors also learn about life on the canal and discover the technological advances that canals introduced. 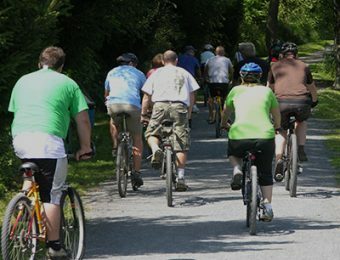 Through on- and off-site education programs we promote learning and appreciation of the transportation and industrial revolutions in the economic, technological and cultural history of the United States and, locally, the Lehigh Valley.